Good dog books are worth their weight in gold because having one or two on your bookshelf just makes raising a puppy so much easier. Once you bring your new pup home, there suddenly seems to be a thousand things you need to know.... right now! If you're like me, you might want to read a couple of really good books, (and keep them handy for those inevitable 'I need to look THAT up' moments). There are literally hundreds of dog books on the market today, some are excellent, others are mediocre at best. As a life-long dog lover and avid reader, I've bought, read (and occasionally discarded) many, many books over the years. So you won't have to waste TOO much of your valuable time (and those hard-earned $$$'s) I've put together a list of some of the very best dog books available. You'll find reviews and comments for each individual book and a link that will allow you to purchase the book/s of your choice (from a safe, secure site) right away. ...I could go on and on, but why not just check out the books for yourself! Here's a few of the very best puppy care books to get you started. I hope you find exactly what you're looking for! This book, written by the Monks of New Skete, is one of the books I bought when I got my very first dog. 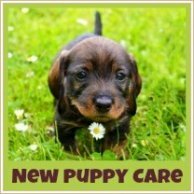 I've gone back to it many times over the years, and always re-read the sections on 'Basic Care' and 'General Training' sections whenever a new puppy joins our family. Following a litter of German Shepherd puppies from birth to about 12 weeks of age, this very practical, in-depth and well-written book covers everything, literally! 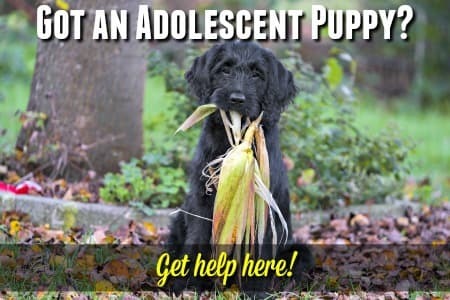 From early temperament testing, choosing the right puppy, basic puppy care and obedience all the way through to how to handle behavior problems in adolescent/adult dogs. The monk's deep love and understanding of their dogs shines through, and their gentle, sensitive approach is both reassuring and encouraging for new dog owners. Altogether a really good book that I highly recommend to new puppy owners who truly want to understand their pup and build a strong owner-dog relationship based on communication and compassion. I love the whole range of '...For Dummies' dog books! I usually don't consider myself a dummy, but the fun, informative and humorous style of these books always makes for an enjoyable read. This fun, friendly guide covers all the basics (including housebreaking, feeding and training) and then some. Other topics covered include designer breeds, traveling with a puppy in tow and a section on kids and dogs. This is a good, basic dog book that new puppy owners will find easy to follow, and will refer to over and over again. If you're still at the "should I get a dog?" stage, this is the perfect book for you! 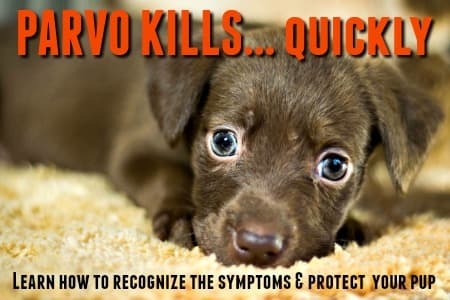 Written by a veterinarian, this step-by-step guide takes you through all the pre-puppy questions, and helps you to understand what's involved in owning a dog. 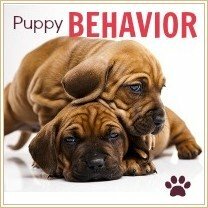 With his straightforward approach to puppy training and discipline, Dr. Dunbar gives you firm guidelines and a recognizable framework which helps you raise a happy, well-behaved pup. Valuable nuggets such as the pre-puppy shopping list, and the directory of dog training books and videos are an added bonus. Altogether a practical, compassionate and common sense book which is perfect for prospective puppy owners and new puppy parents alike. This easy to read book, claims to offer 'Fun, effective and easy puppy training', and it actually delivers! Written in a clear, straightforward way it is very readable, and explains clearly the steps you need to take in order to raise and train a happy, well adjusted pup. Puppy training doesn't have to be a challenge! In fact, if done correctly it can be a lot of fun for both you and your puppy. It really pays off if you have kids that want to be involved as well. They can watch the DVD and then practice the training techniques they've learned. 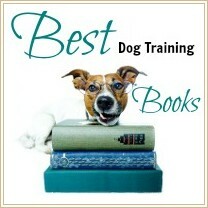 An all-around great book to get you started on your own personal puppy training adventure. If you want it all in one book, and it's detail you're after...this is the only dog book you need! A fairly recent addition to my own personal library, I wish I'd found this years ago! It has all the information and answers any puppy parent, dog owner or dog lover could ever need. When it comes to dog books, this is THE most comprehensive guide to everything canine you're going to find! Starting with the history of the domestic dog and moving on give details on over 200 different dog breeds, it provides advice and information on subjects such as feeding, grooming, health, training, activities, equipment and much, much more. In spite of the tremendous amount of information, this book is an easy, enjoyable read. The color photos, tables, charts and tid-bits of information scattered throughout the book are wonderful additions to the valuable text. 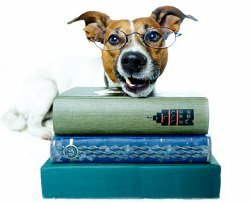 A VERY complete glossary of canine terms and a huge section on dog-related resources (books, magazines, websites, organizations etc.) round out this amazing dog book. One of the first, and biggest, challenges most new owners face is potty training their puppy, and a straightforward guide to this sometimes not-so-straightforward task is a blessing. Tackling the subject in detail, and with a big dose of that famous 'for Dummies' humor, this book is a must have! Another one of those '...For Dummies' dog books, this time it's dedicated to that, often dreaded, topic of house training a puppy! This is a light hearted but very practical and informative book that will guide you through the 'potty training' jungle. Packed with helpful tips, reminders and information, this humorous book will help you housetrain your puppy easily and quickly...without tears. If you have a puppy, you need this book! Unless you're entirely new to the world of dogs, you've probably heard of Cesar. His opinions and methods might not suit everyone's taste, but personally I think this guy knows his 'stuff' and he's published a LOT of in-depth and useful training material for both puppy and dog owners. Magazines, DVD's, books and popular TV programs all feature his unique and intuitive approach to training and communicating with dogs. If you want to learn more about Cesar, check out this page. It explains his philosphies and attitudes and also has links to many of his training materials.